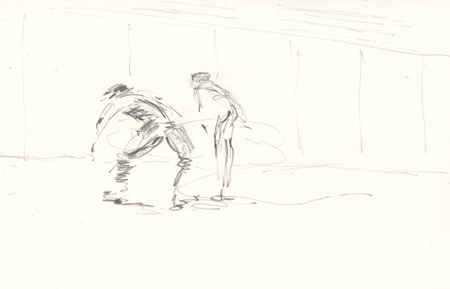 Over the weekend the renowned Belgian choreographer Anne De Terese Keersmaeker and her company Rosas were performing Work/Travail/Arbeid in the Turbine Hall Tate Modern. 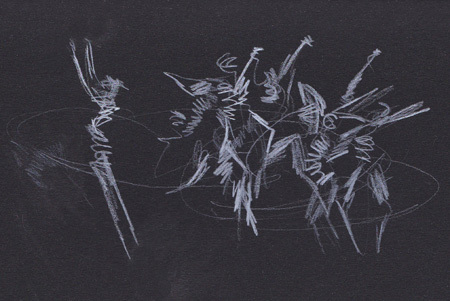 The music, composed by Gérard Grisey was played live by musicians with the collective name Ictus: a grand piano, flute, clarinet, violin, viola and cello. 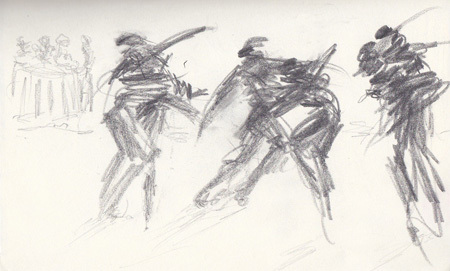 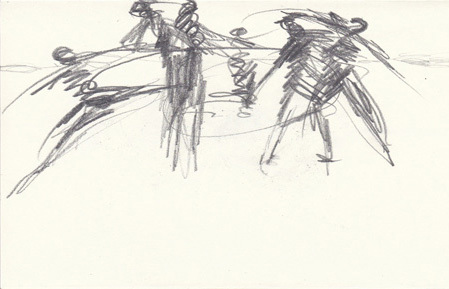 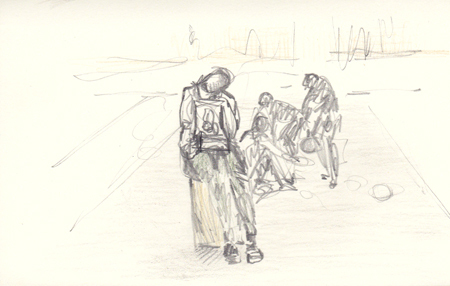 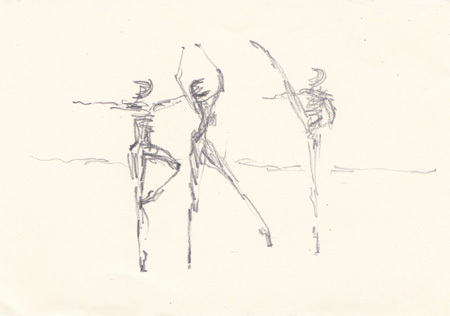 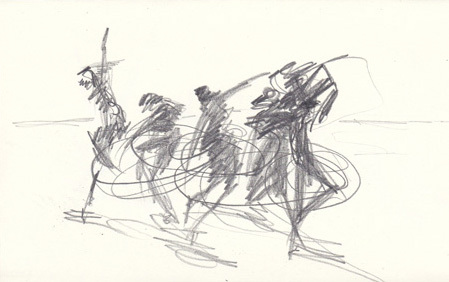 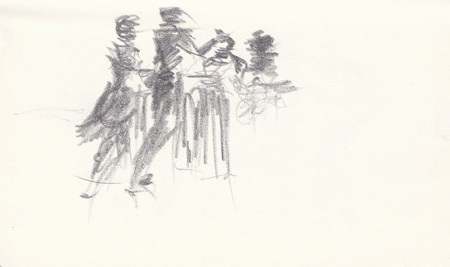 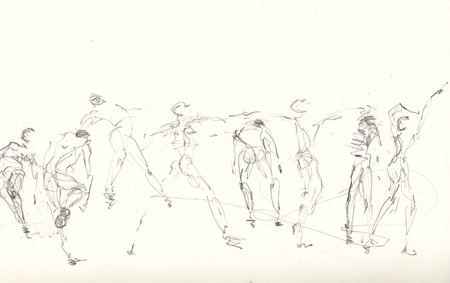 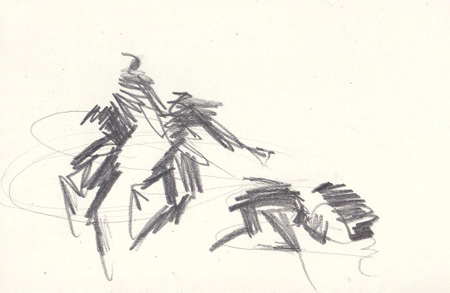 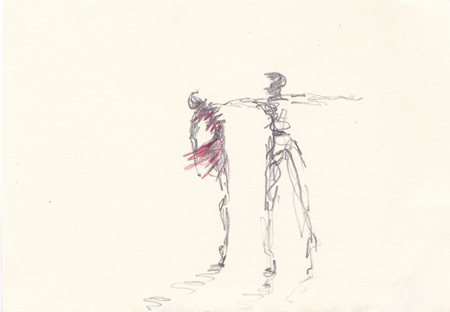 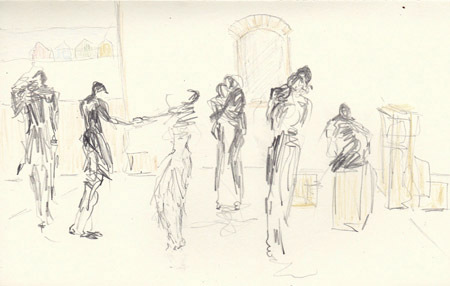 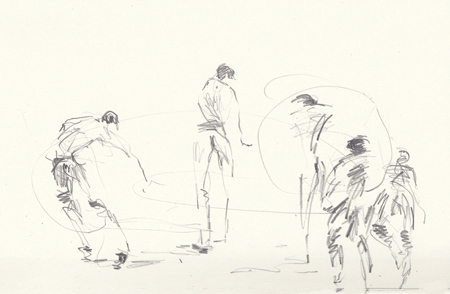 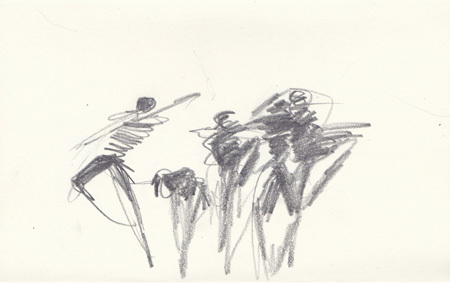 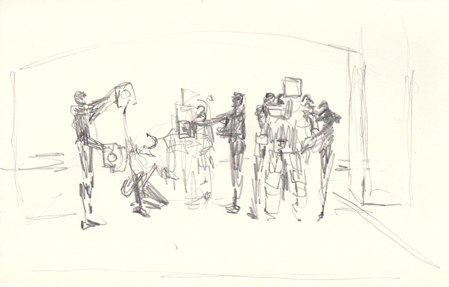 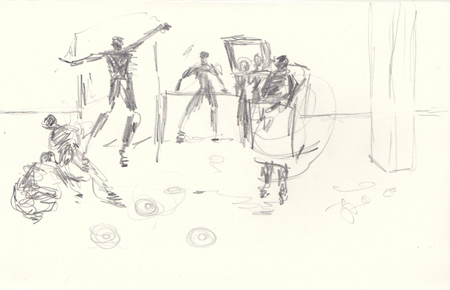 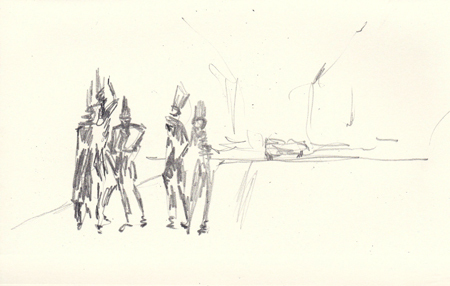 I drew Anne De Terese Keersmaeker in 2012 when she performed at the opening of the Tanks at Tate Modern. 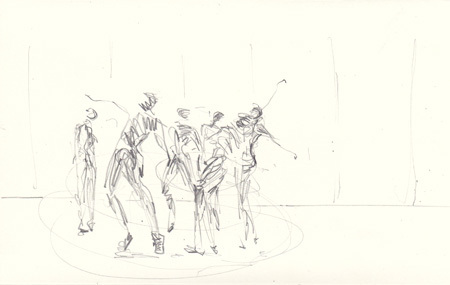 It was fantastic to have the opportunity again to watch and draw Keersmaeker’s choreography and see the excellent Rosas dancers performing. 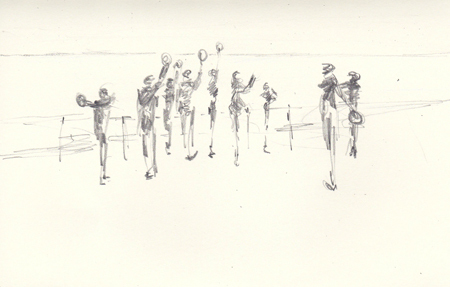 Brighton Festival 2016 @brightfest, BELONGING(s) dress rehearsal, a promenade performance, began in the council office underground car park and moved outside gradually getting closer to the sea, by the time we reached the sea-front the cast had doubled in size, the sun was setting and the sea became the atmospheric back drop for this thought provoking fascinating performance. 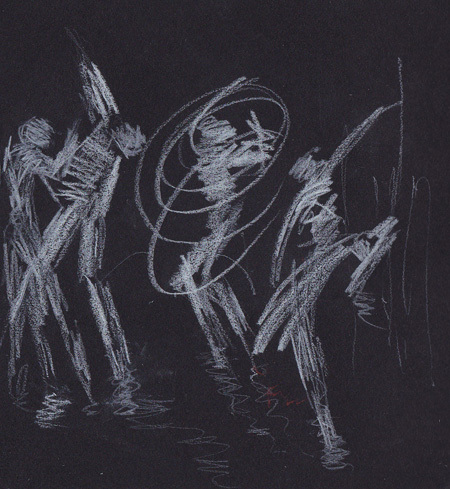 Fabulous new show from Protein at The Place then touring, from choreographer Luca Silvestrini with a wonderful a cappella score from Orlando Gough. 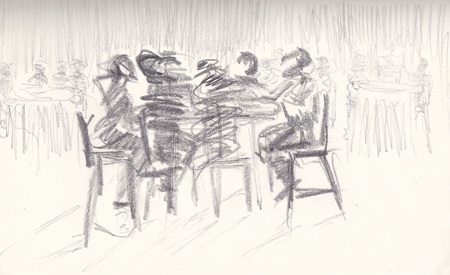 Eight performers are our waiters, four dancers and four singers who sing, dance and mime question our relationships with food, the confusing roles food plays in our lives and the controversial messages we are given about food. 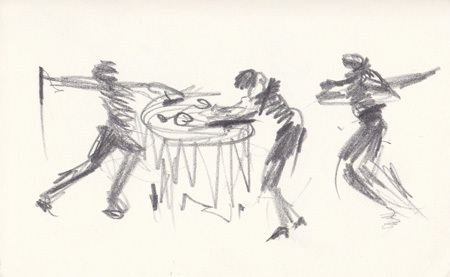 Humorous, touching and delicious. 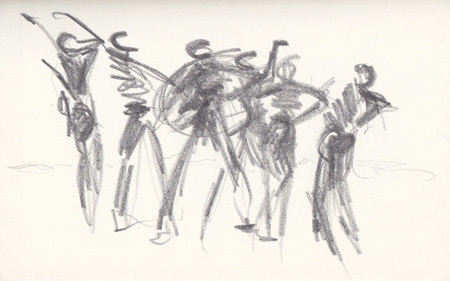 On Friday I went to The Place to see Gary Clarke Company’s brilliant COAL. 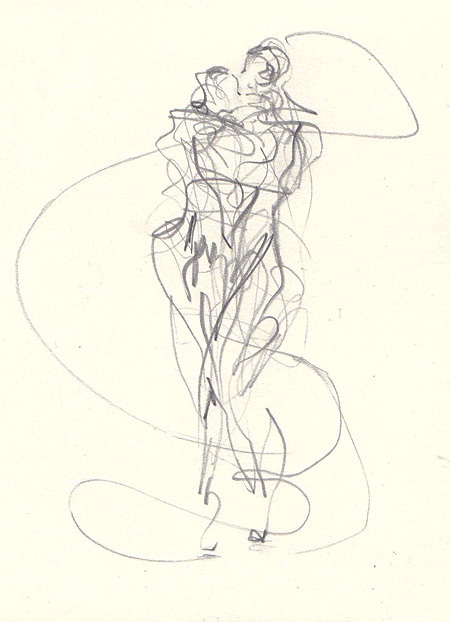 Visceral, passionate, speaks to your very soul. 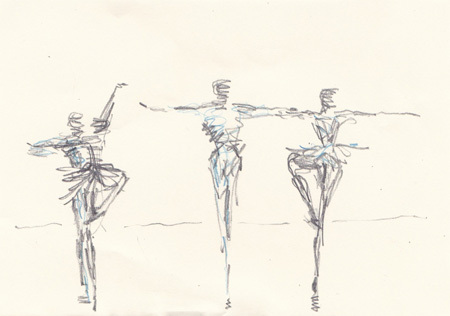 Opening Gambit, choreographed by Richard Alston Dance Company associate choreographer, Martin Lawrence, opened the evening. 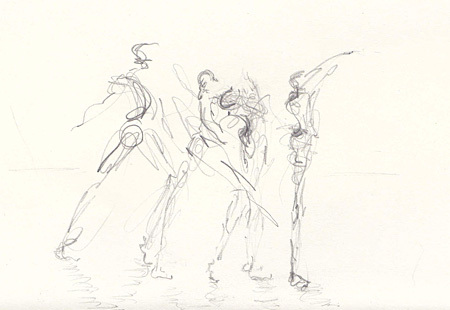 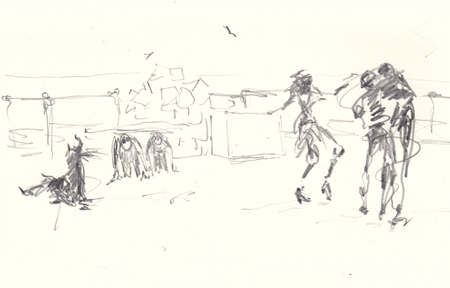 Ten dancers almost fly, they move with such speed, clarity and energy with rapid direction changes. 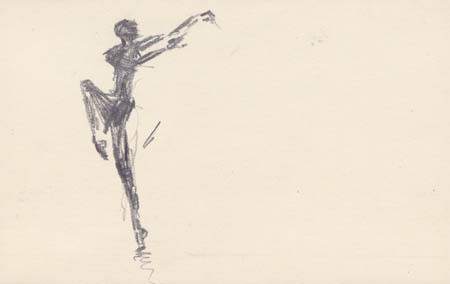 Five dances follow, a highlight for me was watching brilliant Jonathan Goddard with Liam Riddick, dancing a duet choreographed by Richard Alston, Mazur, set to Chopin. 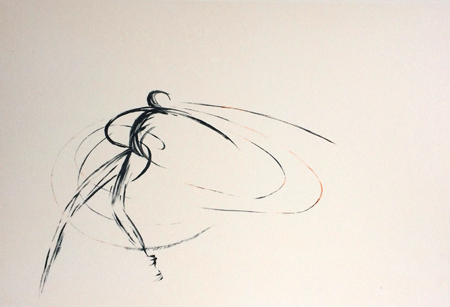 “A dance for two friends sharing what they love and what they feel they have lost”.